An example of a household recycling setup, mine takes a bit of space but is great for separating the different types of waste which my council collects. My local auhotiry collects all types of waste including food, cardboard/paper, plastic, glass, tin, garden and non-recyclable waste. 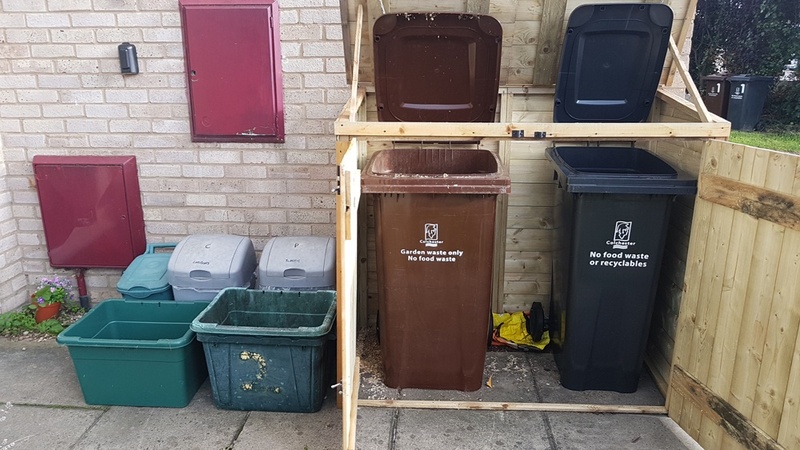 My recycling setup has separate bin for plastic, cardboard, food, garden and food waste. 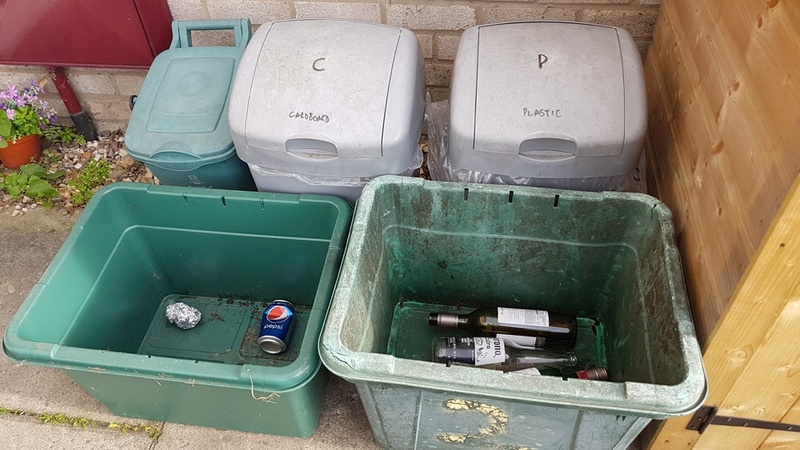 I place the clear recycling sacks into two smaller labelled bins with separate bins for glass and tin, to keep it all separate. The food waste bin sits next to it. I’m going to find a better method for stacking them in the future. A small investments in separate bins helps to keep items in their own recycling bins. 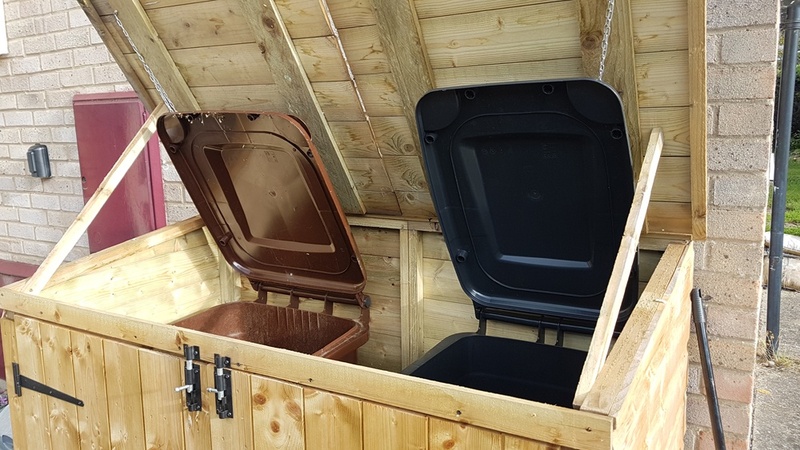 I purchased this bin store online which is a great way of keeping the wheelie bits out of site, and helps to keep maggots out of the bin.